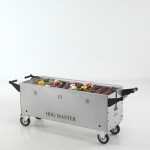 *Delivery is Free if bought with a Hogmaster machine. 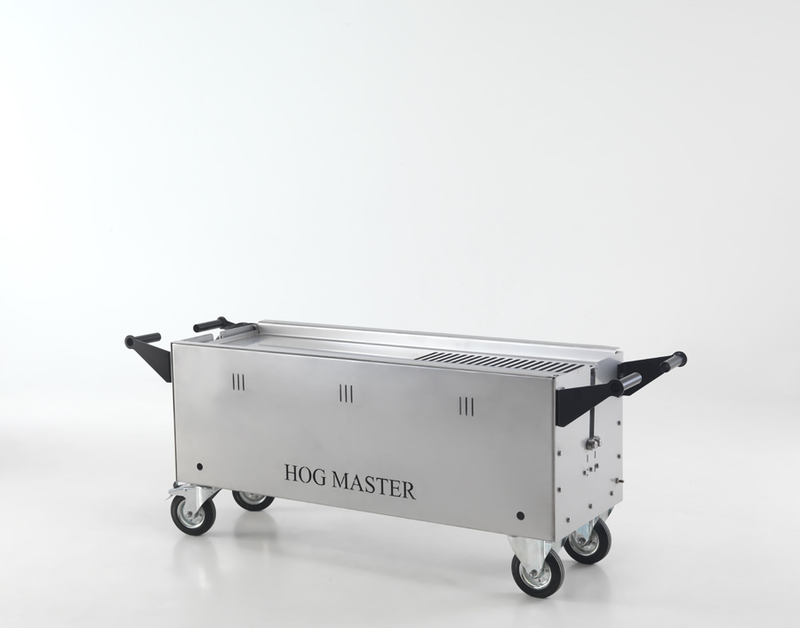 The Hogmaster is considered to be the hardest working hog roaster in the UK! 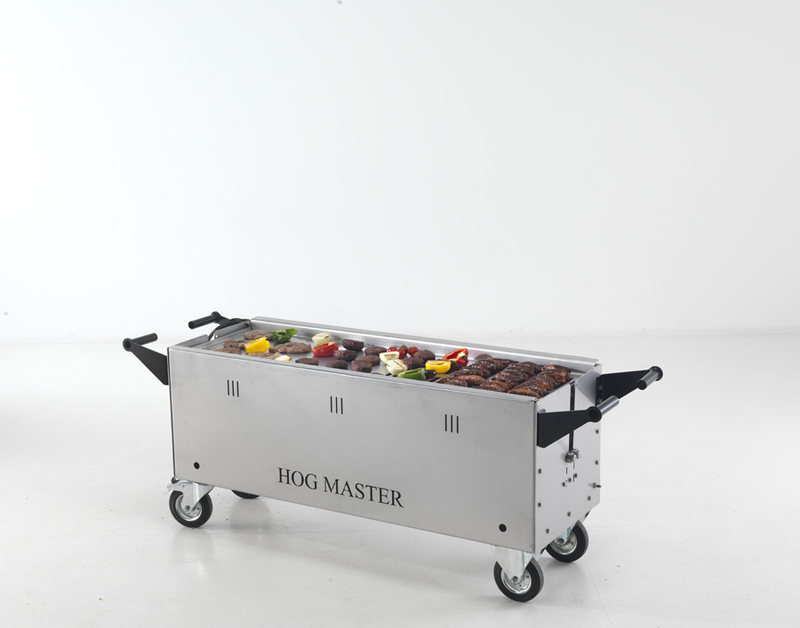 The Hogmaster is so tough, durable and reliable, that it can cook up to a 70 kilo pig. Not only can the Hogmaster cook a whole pig, but it can also be used as a BBQ too. 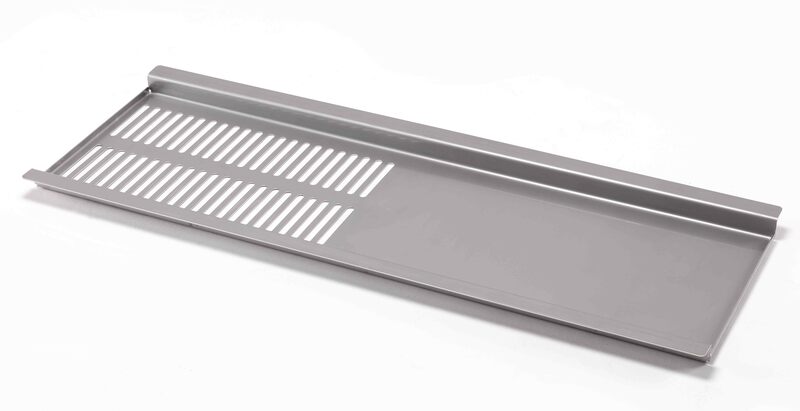 Simply place the BBQ plate on top of the machine and away you go. 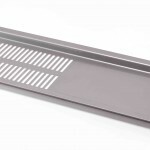 One half of the BBQ is fluted for quick cooking ideal for burgers, sausages etc, and the other half is solid ideal for hot hold or cooking more delicate products such as whole fish. You can also use the BBQ plate to cook other items of food whilst your pig is cooking, jacket potatoes, sausages chickens etc. 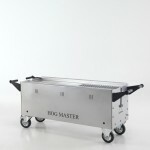 Simply place your hog tray and pig into the machine and then place your bbq tray in the top of the machine and load up. 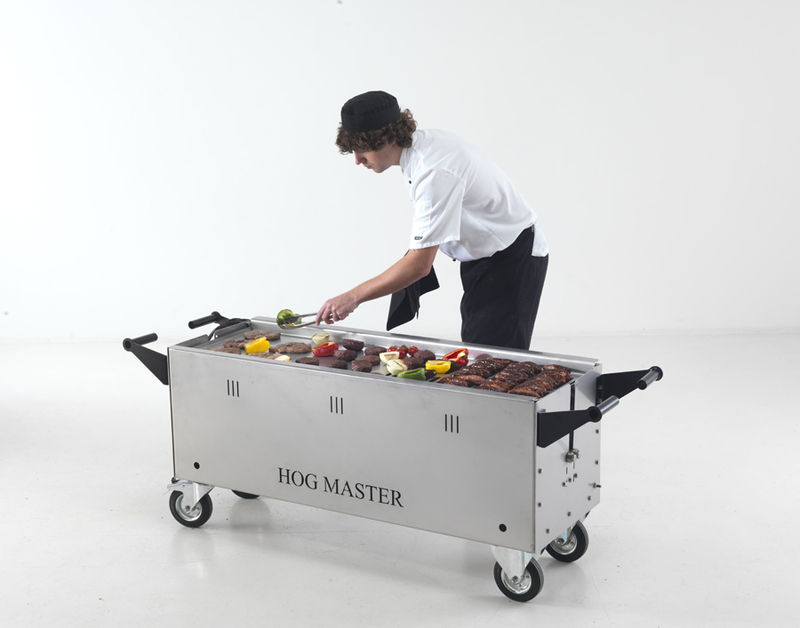 This attachment is to be used with the Hogmaster Hog Roast Machine. All our machines and equipment are manufactured in our factory in Lancashire, UK. We are open Monday to Friday 8am-6pm and Saturday mornings by appointment. Feel free to pop in anytime and have a look at our machines and have a tour of the factory. Everyone who visits is always very glad they did. 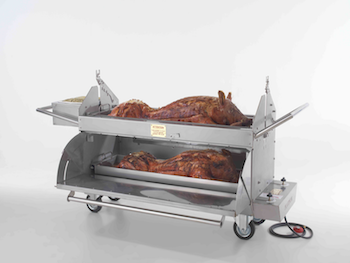 If you would like to buy a BBQ Attachment and/or Hogmaster Hog Roast Machine, you can do so through this website, or alternatively, you can give us a call on 01452 899404 or fill in your details on the contact us page and we’ll come back to you as quickly as we can. 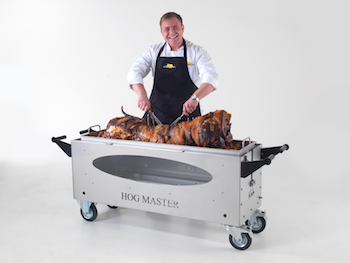 If you plan to buy this along with The Hogmaster Hog Roast Machine, please ensure you add both items to your shopping cart before checking out. Delivery is Free when bought with a Hogmaster only. 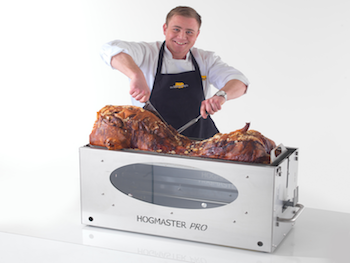 If you plan to buy this separately for a Hogmaster you already own, you will need to cover the cost of postage, unless you are able to collect it from our factory. Delivery within the UK from our Lancashire factory. 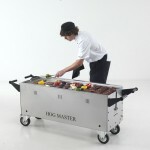 Collection or Free Delivery if bought with a Hogmaster.